Throwback to the Egyptians 4500 years ago , when mushrooms were considered royalty. The delectable and delicious flavor was so tantalizing and enthralling to the Pharaohs , they would only let the royals consume mushrooms. Nowadays, mushrooms have become a common ingredient in many dishes of various cuisines worldwide. As scrumptious these little guys are, it is also loaded with nutrients beneficial to us. Let’s explore a bit more about how mushrooms benefit your health. Mushrooms contain beta-glucan which boosts our immunity providing a shield against infections and flu. Certain types such as shiitake, portobello and reishi mushrooms have protective mechanisms which stimulates interferon and natural killer cell production building a strong immunity with its anti-inflammatory and anti-viral properties. Crimini or button mushrooms are the only natural veggie sources of vitamin-D! Intriguing , eh? Certainly, mushrooms tops the list of nutrition as they absorb calcium facilitated by vitamin-D and makes our bones stronger. Rich in antioxidants, mushrooms help to avert the free radicals present in the body. Free radicals are harmful oxygen molecules, they risk our body by causing cancer, premature aging and cardiovascular diseases.Hail mushrooms ! Mushrooms are virtually cholesterol free and low in carbohydrates. An unusual nutrient present in mushrooms is d-Eritadenine derived from one of the nucleotides in the DNA which apparently helps in cholesterol reduction and thereby preventing cardiovascular diseases or complications. A notable property seen in these fungi is the presence of Selenium which is an important anti-cancer agent. It is said selenium prevents the growth of tumors and also protects us from the damaging effects of the evil free radicals causing breast and skin cancer. Beta-glucans are present in abundance putting a halt and crushing the cancer cells. Boom! As if this was not enough convincing, I have another benefit coming your way. Its time you make mushrooms your best friend. Portobello mushrooms are particularly beneficial to women to shed the extra kilos. With hardly any calories or cholesterol , its consumption makes way to losing weight. It has vitamin B which plays an important role in the conversion of fat, protein and carbohydrate to energy — the ultimate weight loss diet. Research proves that mushrooms are an ideal source of food for diabetics. No fat, no cholesterol, high protein and fibre — mushrooms provide all the good stuff to you. They naturally have insulin present and enzymes which break down the sugar present in the food. Along with that, it contains particular compounds which promote the formation and regulation of insulin. Mushrooms contain calcium helping in the strengthening of bones. Women are more prone to conditions of the bones especially osteoporosis and arthritis. 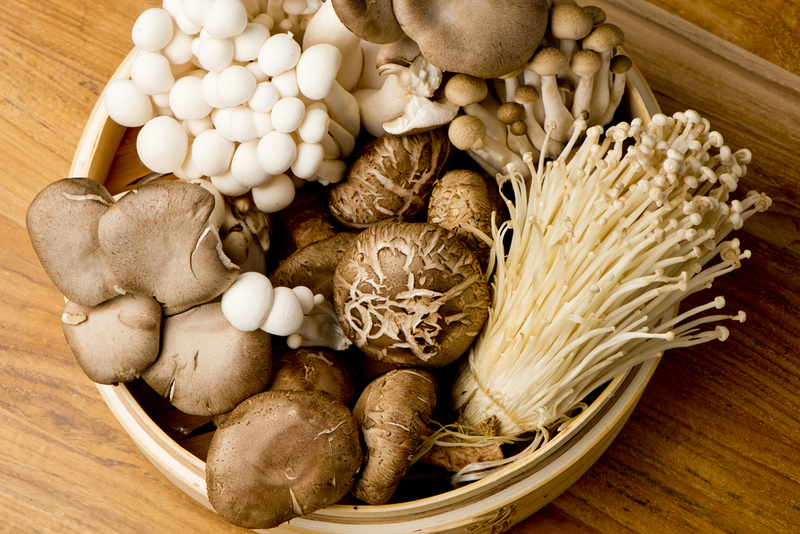 With an everyday supply of mushrooms in the diet, it prevents joint pain and the development of bone diseases. Zinc and copper are present in trace quantities in our body but are essential for the bone growth. Copper plays a vital role along with an enzyme in the formation of blood vessels, skin and bones . Next articleGROW ORGANIC OYSTER MUSHROOMS IN YOUR KITCHEN!!! How Does Stress Affect Women’s Health? Is Your Teen Showing Signs Of Depression?